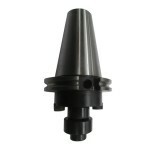 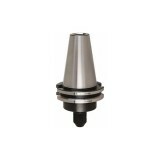 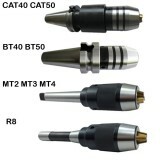 There are dual flang tapers and come in the following size: CAT 30, CAT 40, CAT 50, etc. 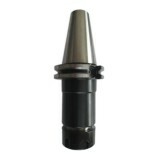 The number refers to the Association for Manufacturing Technology (formerly the National Machine Tool Builders Association (NMTB)) Taper size of the tool. 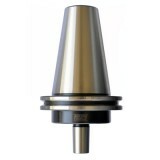 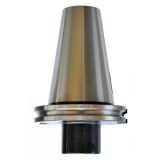 CAT tooling is sometimes called V-Flange Tooling. 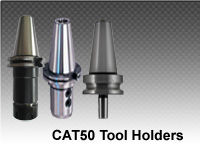 CAT Tooling uses inch threads for the retention knob and are used to hold either inch-dimensioned or metric-dimensioned cutting tools. 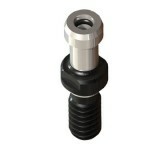 CAT50-ER Specification: Finish: Black Oxide Runout: .005mm/.0002in TIR Works on all CAT 50..